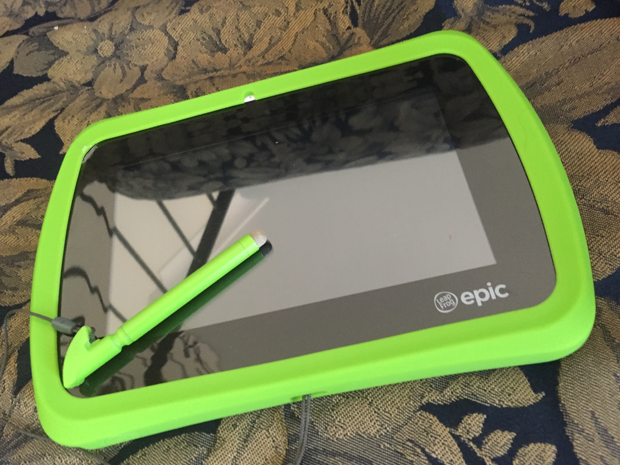 My review of the LeapFrog Epic – a new Android™ based tablet for kids. We’ve had heaps of LeapFrog toys over the years and I’ve always found them to been quality, educational and, as toys should be – fun. I have three children so I’ve been able to get a lot of use out of each LeapFrog toy as the older child grows out of it and it’s handed down the line. I was impressed when LeapTV was launched – my then four year old loved it. Surprisingly though, my then 8 and 10 year old also enjoyed playing some of the LeapTV games. The LeapFrog Epic is in a league of it’s own. I’ve been waiting a long time for something like this from LeapFrog. Many mums (and dads) I spoke to about LeapFrog (LeapPads) often commented why not just buy a cheap tablet or even an iPad? Well, the point of difference for LeapFrog has always been the educational content and library but there are so many apps available on android and mac some people just couldn’t see the value in a stand alone tablet like the LeapPads. What LeapFrog have done with the Epic is create it’s first Android™ device. The 7-inch LeapFrog Epic is an Android™-based tablet that runs LeapFrog and Android™ apps and is aimed at children aged from 3-9. There are no more cartridges with the LeapFrog Epic which I think is excellent. We always seemed to lose our cartridges but with the LeapFrog Epic you have access to the online LeapFrog App centre and all the kids favourite Android™ Apps. The LeapFrog Epic comes with 20 pre-loaded apps and age-appropiate web pages. When you get the Epic out of the box it’s easy to set up and start to customise. It’s wi-fi ready and allows parents to set how much or how little your child can access. 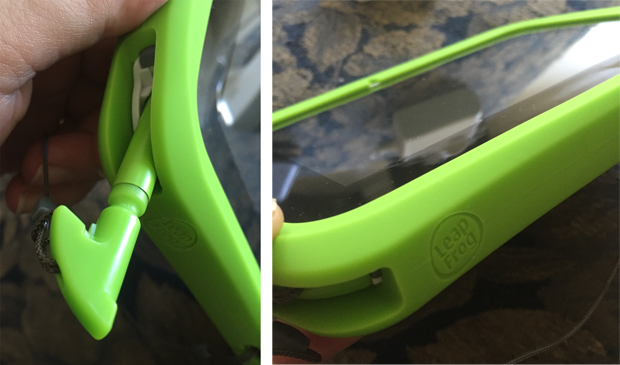 The following is a run down of the things I really love about the LeapFrog Epic. There is so much to love about the LeapFrog Epic, it is wonderful to give your child the freedom to discover and play in a safe environment. 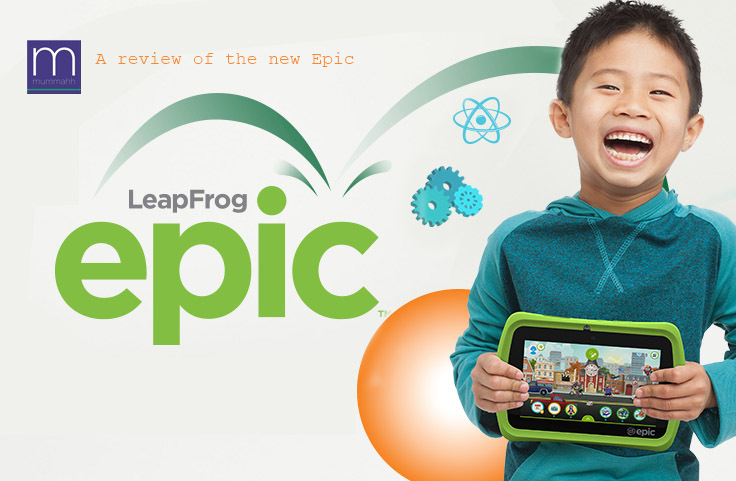 The LeapFrog Epic is the best of both worlds – the educational and trusted LeapFrog library and the experience of all that the web and Android has to offer. Whilst it isn’t a complete Android tablet it can come as close as a 3-9 year old will enjoy and parents can expand the device to offer a broader experience and children grow. The Epic is again another quality, fun and value for money toy from LeapFrog and is sure to be a massive hit with the targeted age group. My five year old absolutely loved the customisable and playable homescreen and hasn’t even got to all the other features this tablet contains. As a retired teacher I can vouch for this learning tool, LeapFrog mixes fun with learning, cost with durability. Great combinations. Would love to win this. I just tried following you on twitter but it wouldn’t let me!!! These look so safe I’d fell pretty at ease to not hover with the three kids using this one.